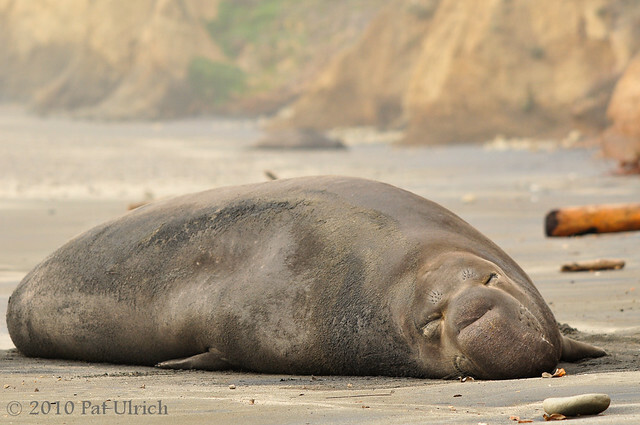 How time flies when you're having fun! 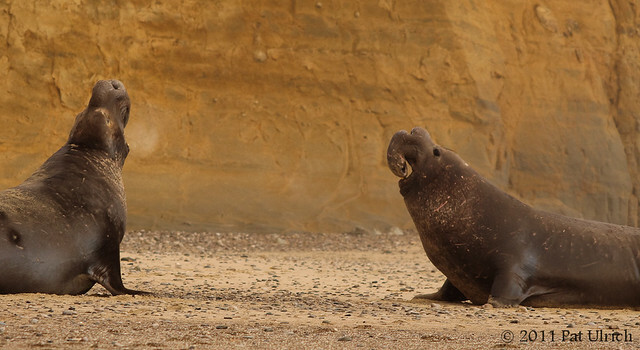 This is a special occasion post, and not just because it's for Groundhog's Day! 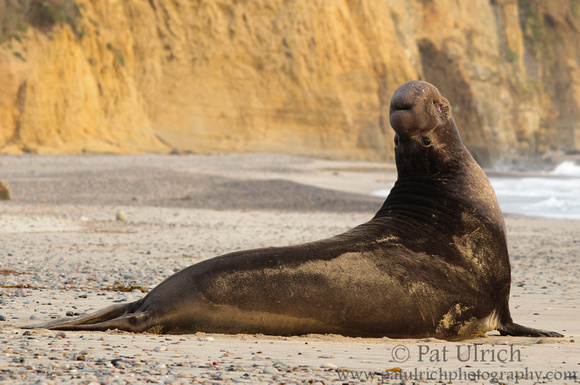 This is post number 200 on the blog! 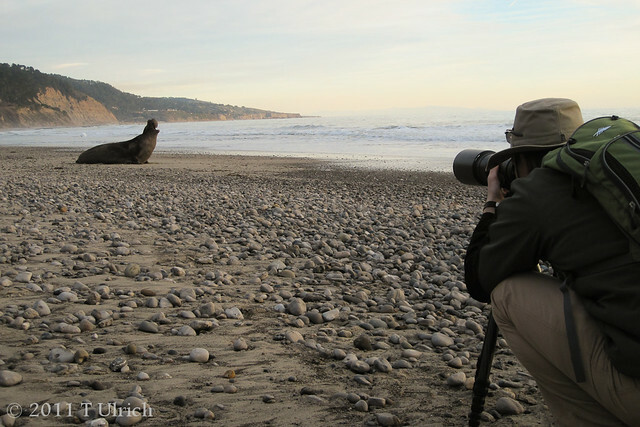 The first one stretches back to October 2009, when I wasn't really sure what to do with a blog or why I should make one. 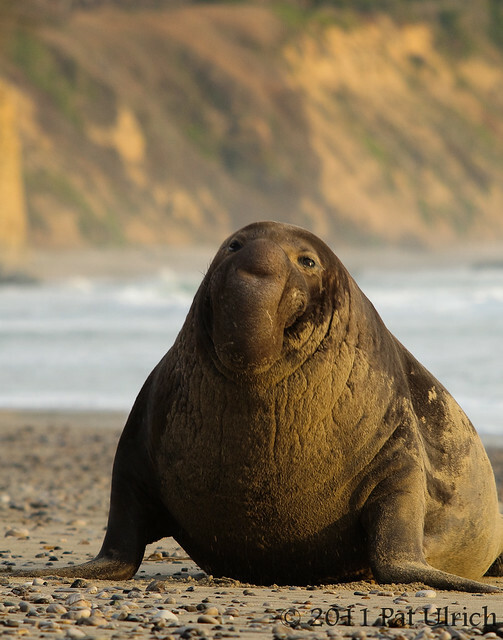 But it's been a really fun ride since I started, and I look forward to the next 200 to come. 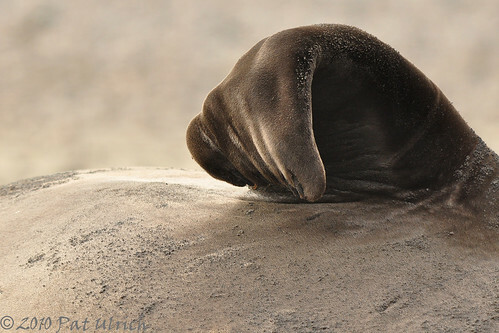 Thanks to everyone who has kept up with my photography over the past few years, and I hope you've enjoyed seeing what I have to share! 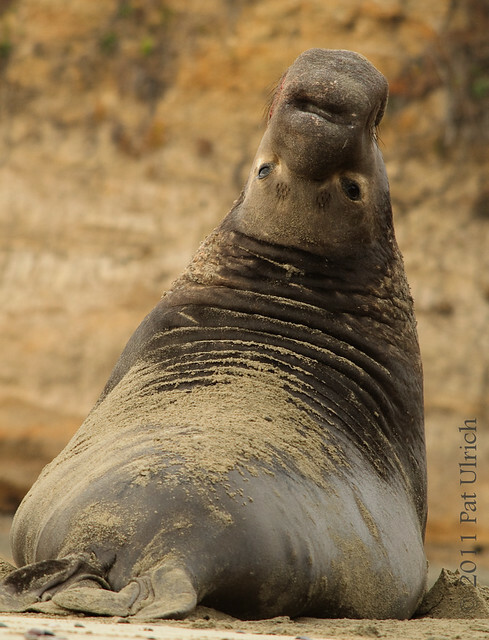 In honor of this special round-number occasion, I figured I should go with my favorite winter subjects, the northern elephant seals of Año Nuevo State Reserve. 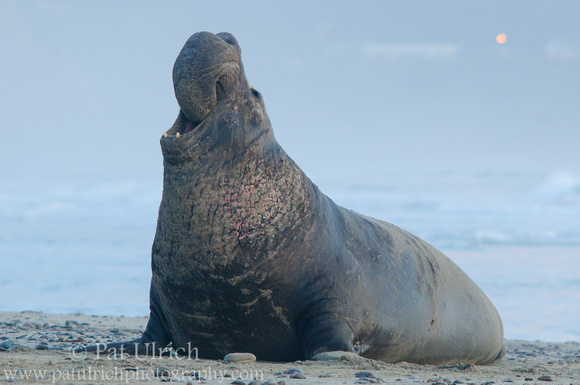 This large male is rejoicing in the fact that he has kept his throne as the beachmaster of Loser's Beach. 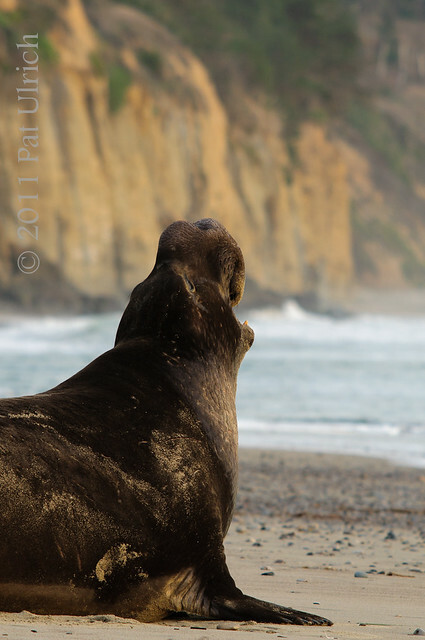 Just a few minutes prior we watched a rival male come out of the waves and onto the beach, and we had the pleasure of watching the standoff that followed. 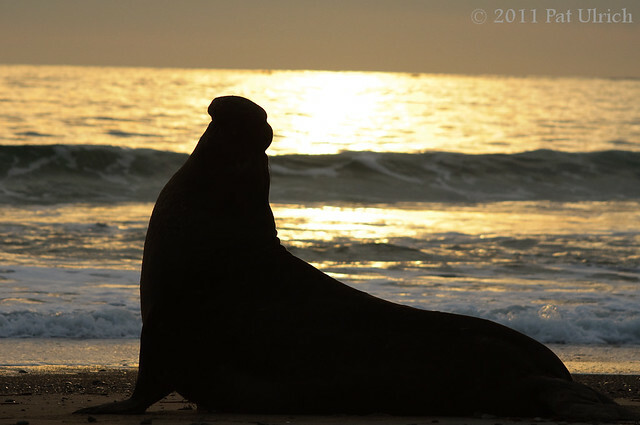 I have some images of the event, and even more interestingly, my wife took some video with her pocket cam -- and I hope to have all of that on the blog in the next few days, so stay tuned! 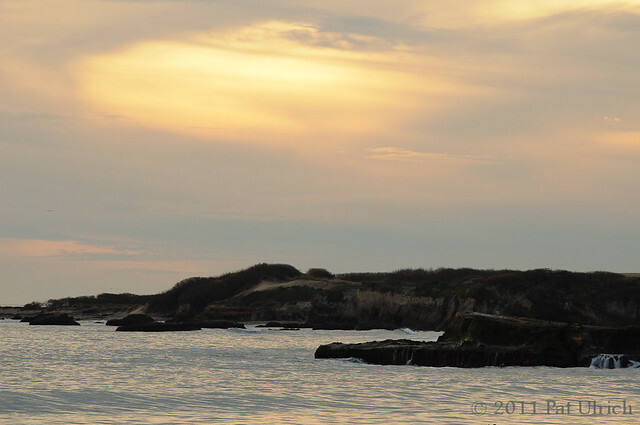 By the time I was taking these photographs, the sun had dipped below the marine layer for the night, leaving behind a world of pastel colors. 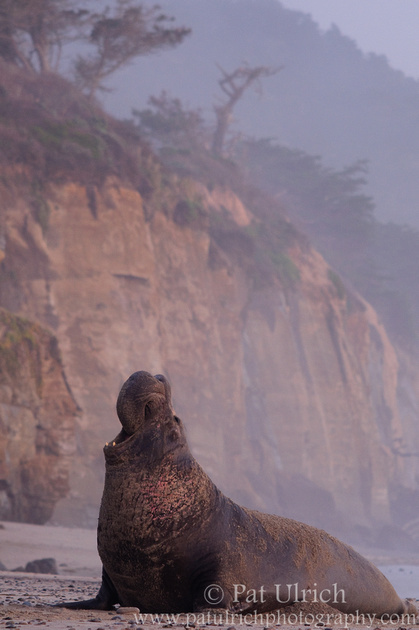 While I enjoy taking the detailed shots of these guys displaying, I couldn't resist zooming out and placing him in his gorgeous domain. 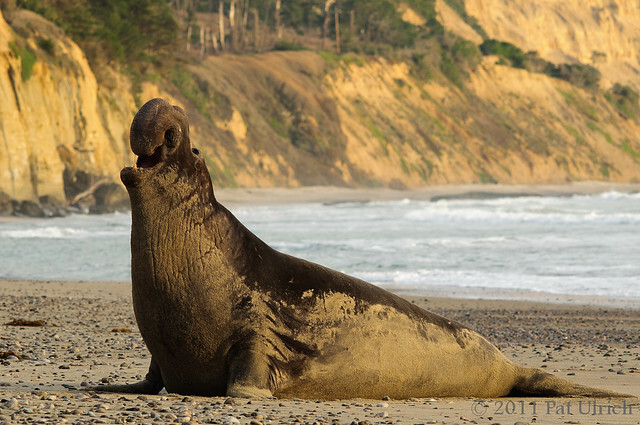 The cliffs along the beach here have the classic San Mateo Coastline look, and sure do make for a beautiful backdrop for the seals. 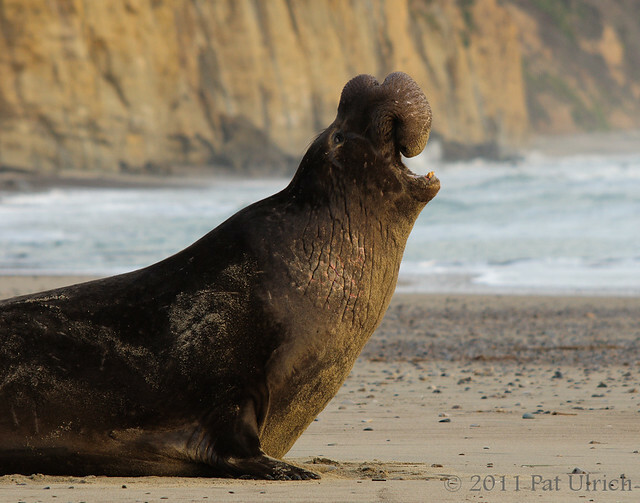 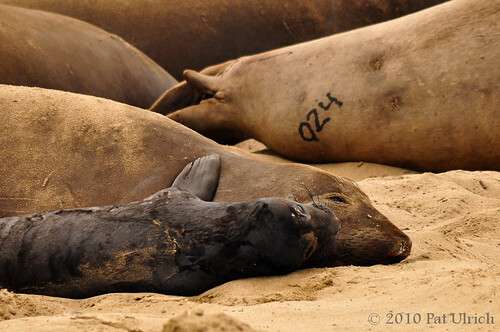 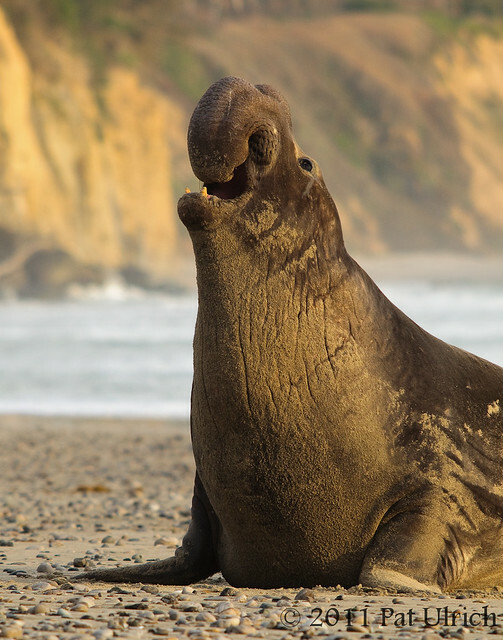 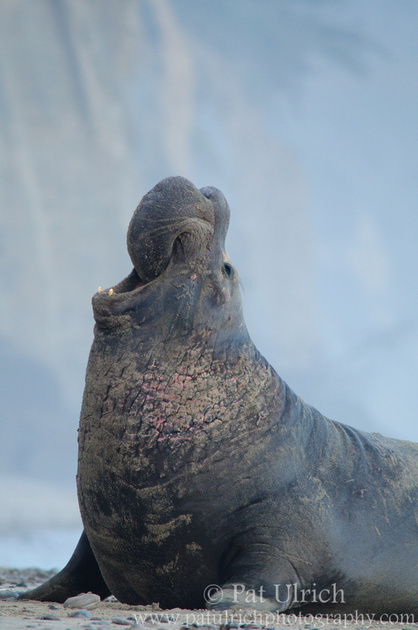 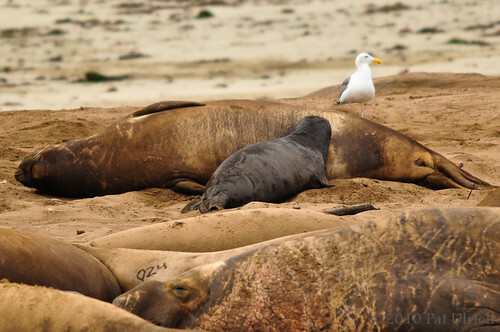 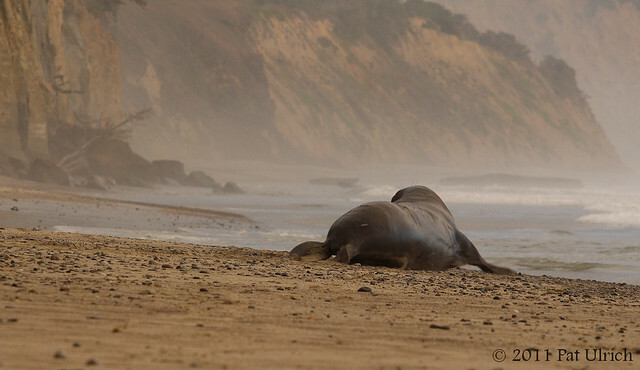 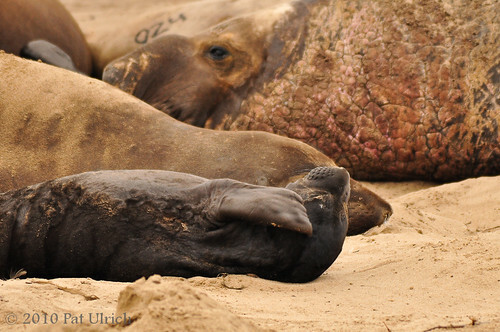 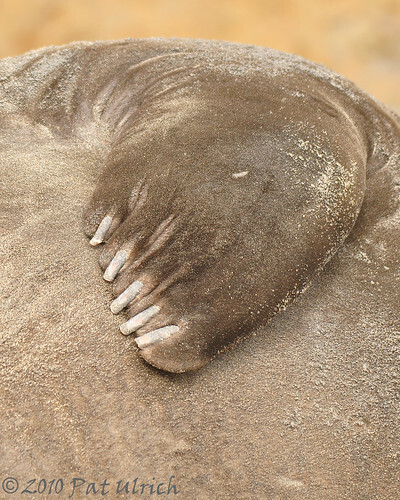 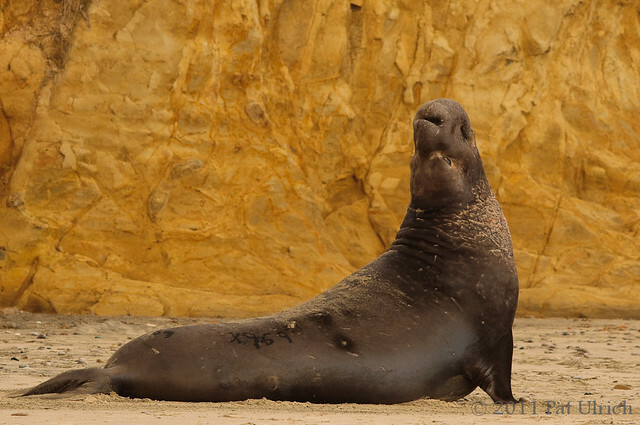 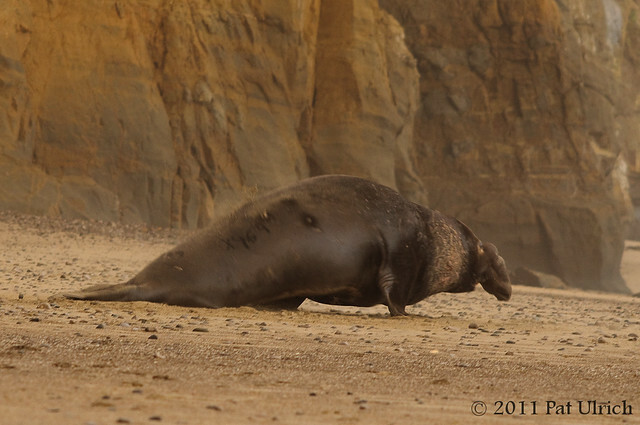 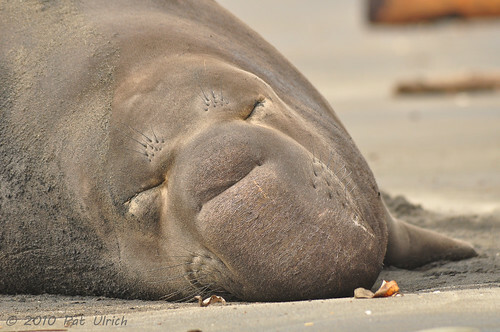 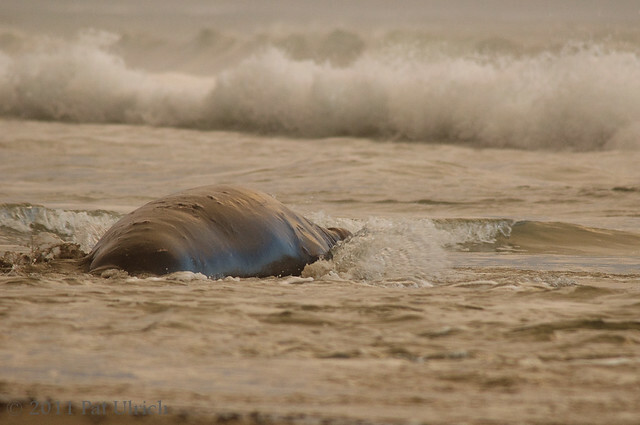 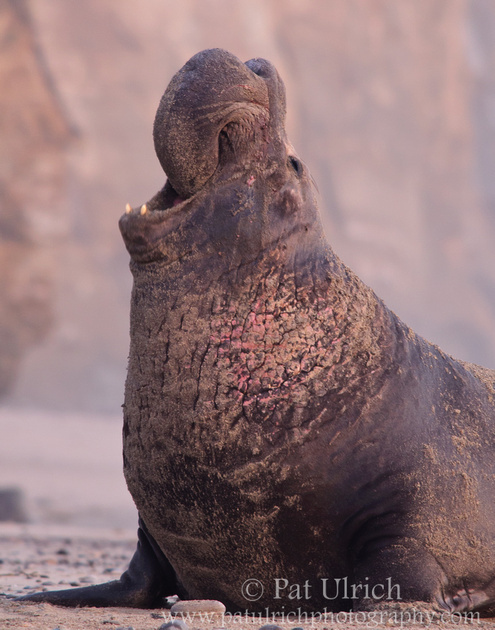 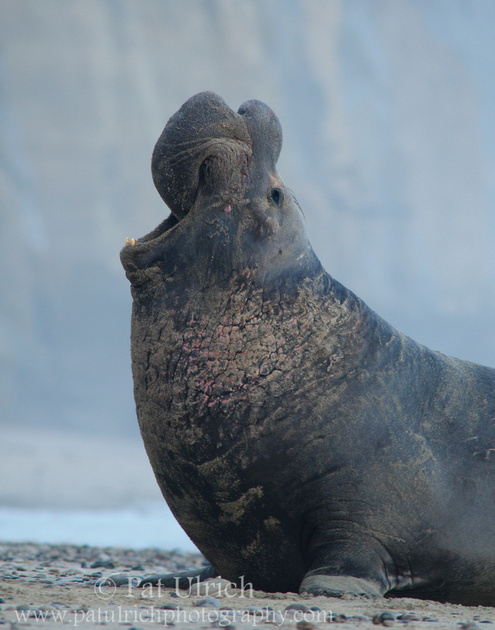 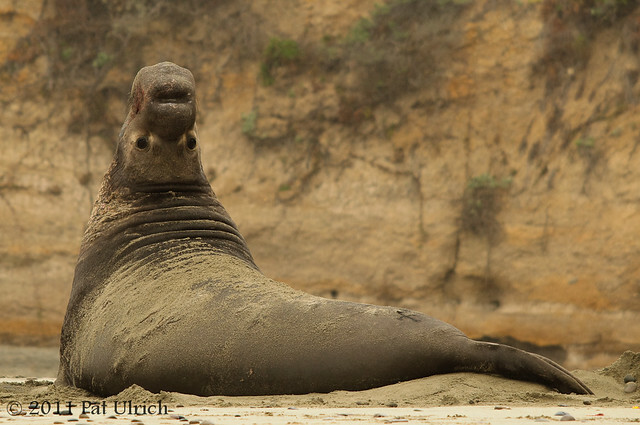 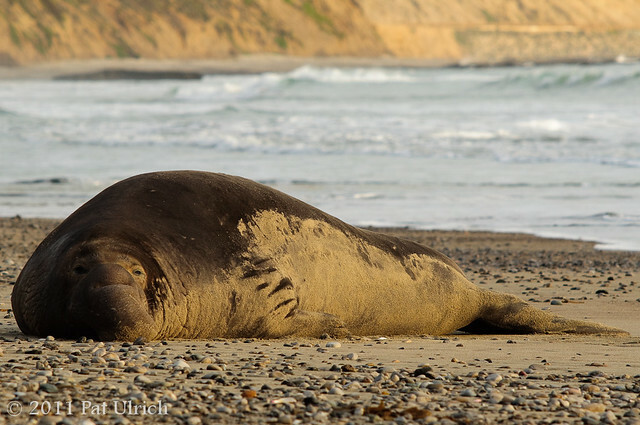 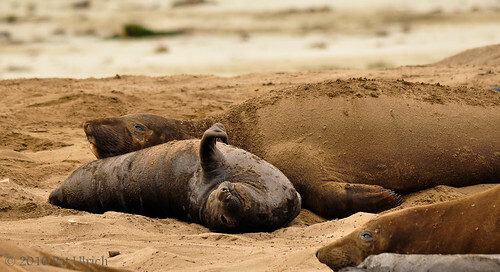 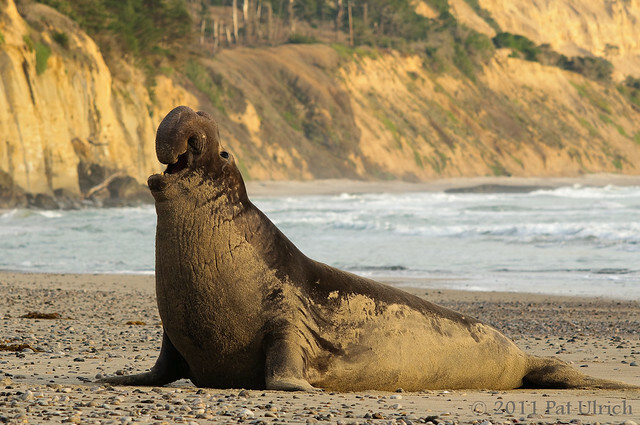 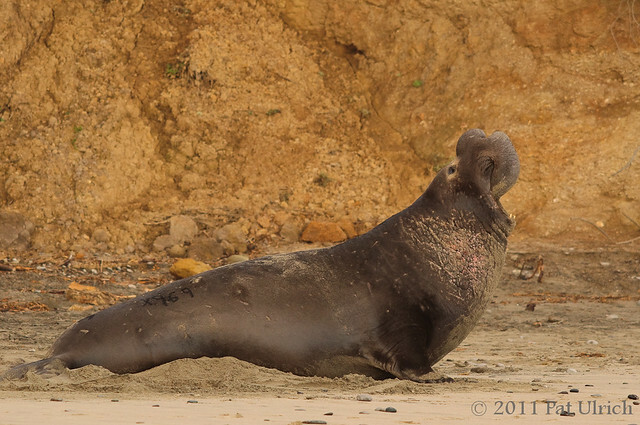 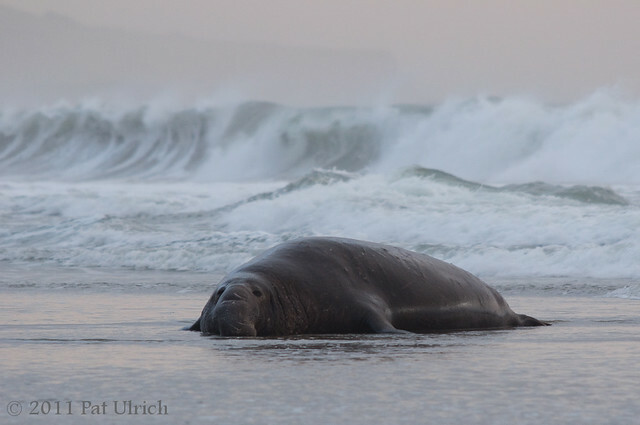 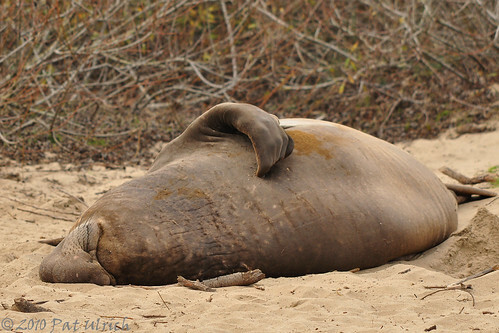 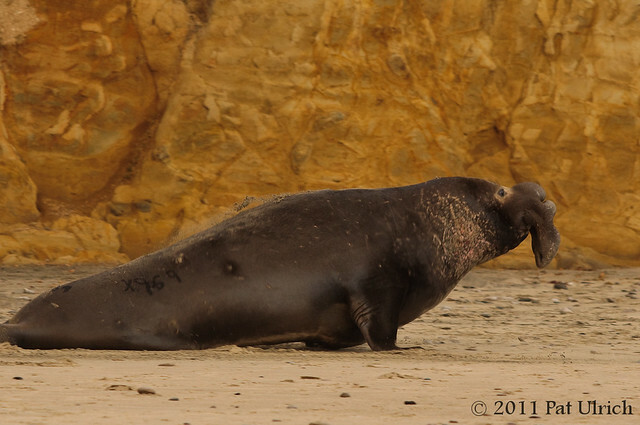 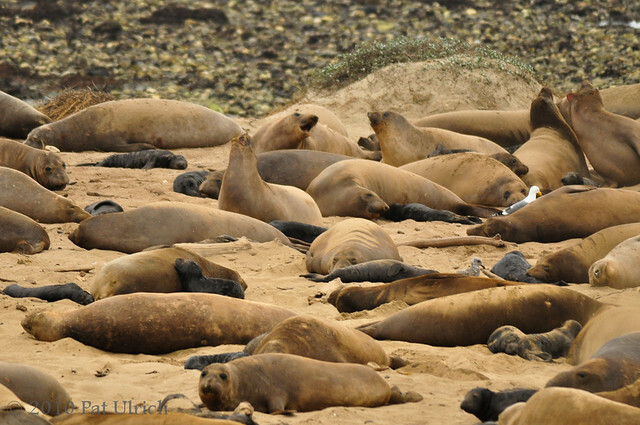 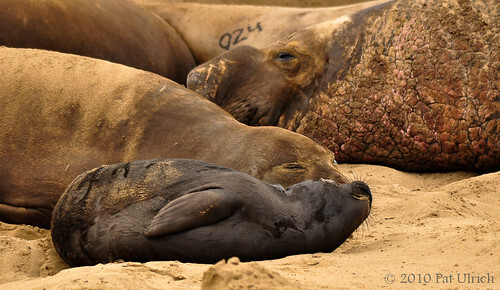 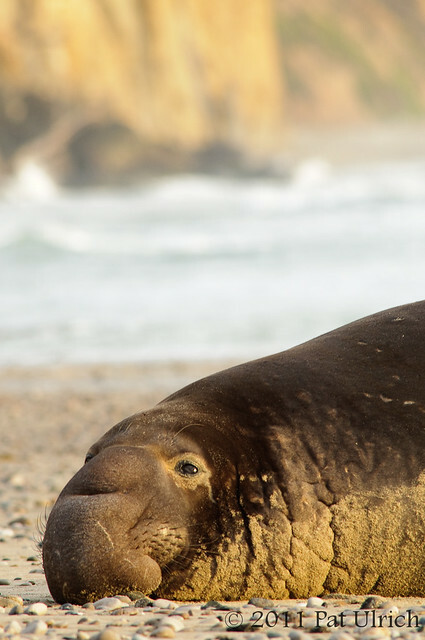 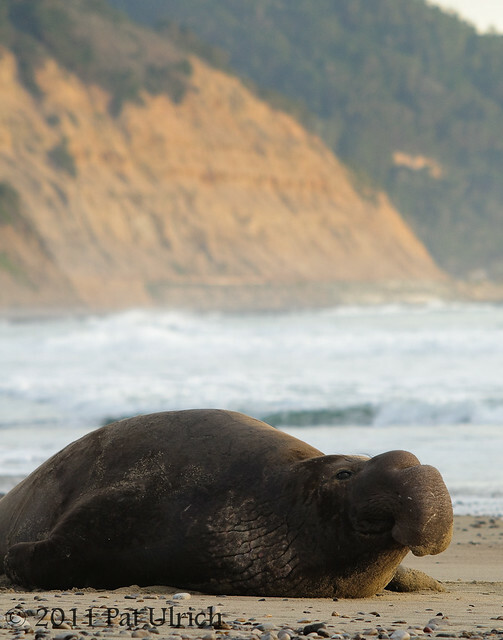 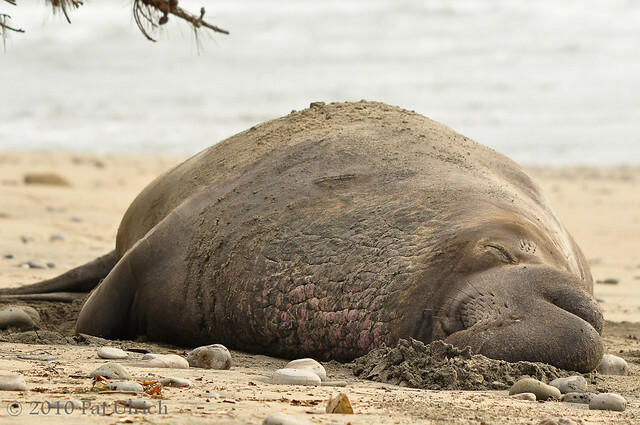 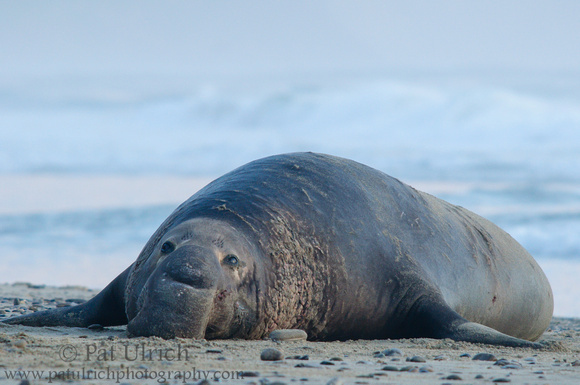 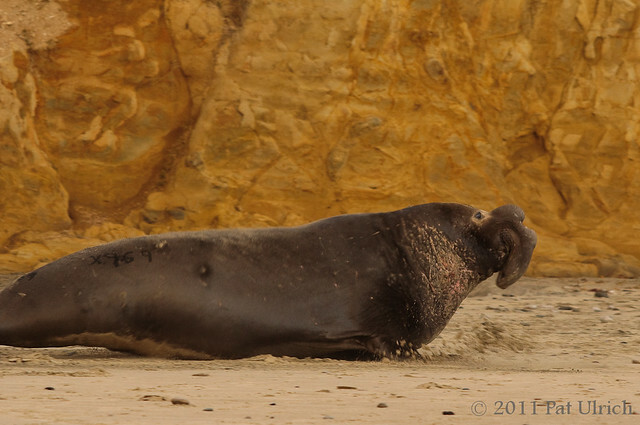 View more photographs of elephant seals in Año Nuevo State Reserve.